After reading Fairest on its release date, I'm pretty much drowning in my own feels. There such a complexity to this book that looks so short [next to Cress, which is over 500 pages long.] Fairest is not a plot driven story. It's very much based on character development, however, possibly not the character development you were expecting. Levana is the villain. What I found strange was that some people expected this to be a tale of clear cut redemption. There is no tragic sob story large enough excuse Levana for her character. She is not "misunderstood" or an "angel in disguise." If you go into the story with the attitude that she is, you're going to be let down. The easiest way to describe Levana [that I've now said multiple times] is to compare her to the character Azula from Avatar: The Last Airbender. Azula, like Levana portrays a strong image of strength, malice and apathy. Like Levana, there is no retribution for said character. Yes, Azula can shoot lightning from her fingers. The last episode of the show, however, is what I compare to Fairest. There's a new light shed on the characters, yet not enough to excuse their actions. You can see them somewhat descending into psychosis [see GIF below] which creates a rift: to pity or not to pity? Levana gives off an obsessive vibe throughout the book, starting quietly in the beginning and only becoming more desperate as it ends. In Fairest, she's only sixteen, which really stuck out because she's so young to be a villain. She's insecure and almost pathetic, her thoughts bordering on psychopathic. I felt like these traits were perfectly executed as her insecurity really brought out the weakness in her. Another gif of Azula, but also Levana. What completely threw me off was how torn I was after turning the final page. For the most part, I was completely disgusted with her character. I can't say without spoiling what she does, but it's bad. I hated her so much. However, there was a part of me that completely felt for her. And that made me question who I am as a person. She's wrong and everything she did went against my moral compass, so why did I even feel bad? See, Levana's insecurity bleeds through the pages in ways that a fellow insecure teenage girl understands. It was the way she was written. The villain is her own victim. I felt it while reading and that's what made this book completely unforgettable. Again, this is a character driven novel. 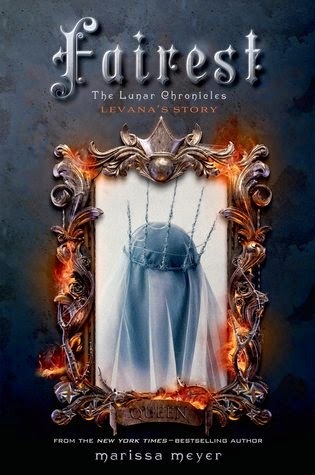 If you want more knowledge on Levana, letumosis, and the events that take place before The Lunar Chronicles, this story is for you. In terms of plot, it isn't that exciting but I like that. The plot doesn't take away from how Levana changes, which is such an interesting turn of events. DO IT. I am seriously book pushing Marissa Meyer onto everyone I can. I'm seeing Marrissa this Saturday, so I'll be getting my copy of Fairest then!! I can't wait. I don't mind that it's more about character development than anything else because I'm so fascinated by Levana. Love these books! I wasn't sure what to expect, but plot driven was not it. I knew i was going to be more about character and I was totally blown away <33 And OMG LUCKY, I met her twice but that's not enough! I loved this novella and I loved how more complex it made Levana. Isn't she messed up? The whole marriage thing omg!! I loved how character driven this was and you,re right she's def NOT misunderstood she's just really broken in her mind lol! Though no fault to her she just had a terrible childhood and really bad self worth issues. The marriage thing Effed me up so hard. I actually PUT. THE. BOOK. DOWN. And then obviously because I was still curious, I picked it up a few minutes later, but still! AHHHH!!! FAIREST!!! I am so excited for this book that I don't even know what to do with myself until I get my hands on it. I'm glad this isn't an "angel in disguise" story because those are so cliche, but at the same time, I like villains that I can sympathize with. No matter how evil a person is, he/she is still a person, and everyone has something sympathetic about him/her. 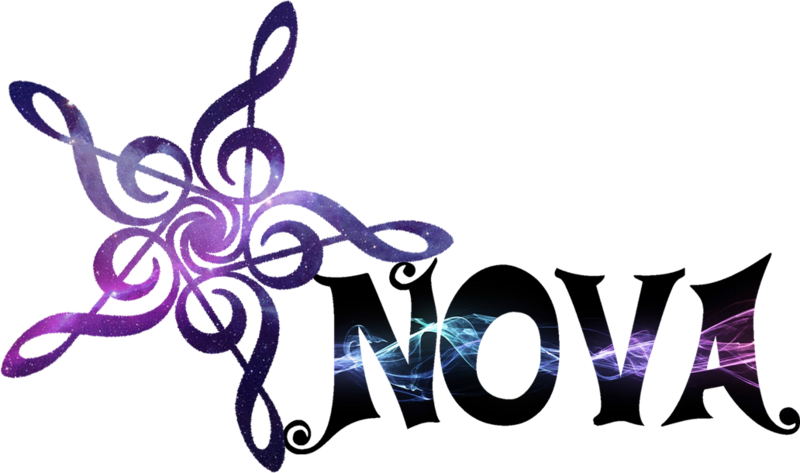 AMAZING review, Nova! I can't wait to get my hands on this book tomorrow!!! So excited to read this book. I mean it's MARISSA MEYER. AHHHHH! I love books like this!I love it when villains get their own book,even when it's as twisted and complicated Fairest sounds like.I am looking forward to read this book! Thanks for stopping by Chasing Faerytales! LEVANA IS LIKE AZULA?? HECK YES. Don't get me wrong, I like when villains have sad stories leading to their evil actions. But villains who are evil just for the sake of being evil? Those twisted characters are on a whole other level. Those are the best and creepiest villains. You're the only one who commented about that <3333 THANK YOU LORD. AND YES YES YES <333 The sick to your stomach but sympathy feels are honestly so wicked. It's almost as bad as the feels you get when your favorite character dies. Great review, lady! This was a hard one for me to read. I was so disgusted and horrified by Levana. There's that one moment - when we find out how she was disfigured - that had me sympathizing with her a little bit - but that quickly vanished by the time the story ended. She does such AWFUL things. Ugh. I hate her so much. But Marissa did an amazing job with her book!